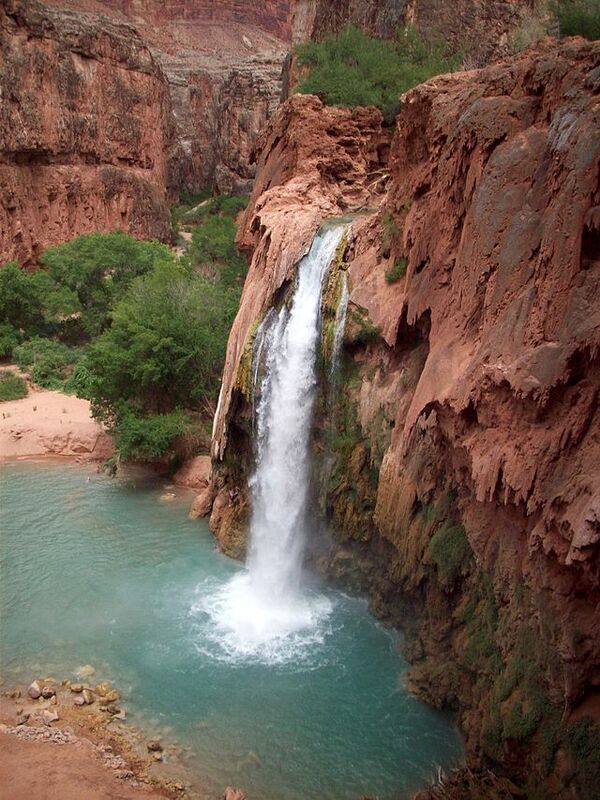 The trailhead to Havasupai Falls begins at Hualapai Hilltop. The Hilltop can be reached at the end of Indian Road 18 which is 65 miles north of Route 66. 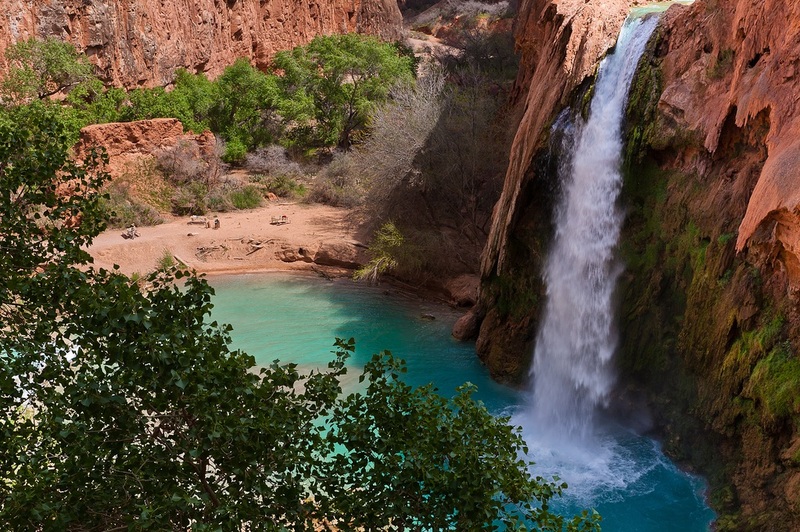 Once you get to the hilltop (by car) you can start the 10 mile hike along the Havasupai Trail to the Havasu Falls. Better to take enough water and protection from sun for this leg. If you don’t feel like hiking, there is helicopter service or horses available for a fee. You may also pay for the helicopter or mules to take your backpacking gear. It is IMPORTANT to know that only a limited number of visitors are given permits to enter. Thus, reservations for camping and hotels are booked even 6 months in advance. You can find info about the reservations and camping permits at the Grand Canyon National Park website. The aptly named Half Dome is possibly Yosemite's most familiar rock formation. The granite crest rises more than 4,737 ft (1,444 m) above the valley floor and the drop from the top is nearly vertical. Yosemite Falls is the highest waterfall in North America. It is made up of three separate falls Upper Yosemite Fall (1,430 ft), the middle cascades (675 ft), and Lower Yosemite Fall (320 ft).